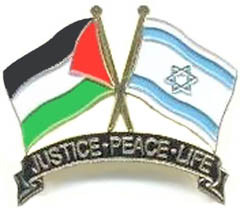 "Justice - Peace - Life." "to us this symbol represents the only solution that makes sense - two equally secure, viable and sovereign states for two equally worthy peoples. For only with symmetry can there be justice. And only with justice can there be peace. And only with peace can there be the life that the mainstream on both sides longs for." Please back the effort and Support Sanity™.